Man inscribed in a pentagram with an astrological symbol at each point. De occulta philosophia by Heinrich Cornelius Agrippa is one of the earliest works on the occult. This first complete edition, published in 1533, deals with the relationship between religion and ritual magic. The three books of De occulta philosophia include chapters on numerology, celestial observation, the sun and moon, chiromancy (palmistry), and the zodiac. 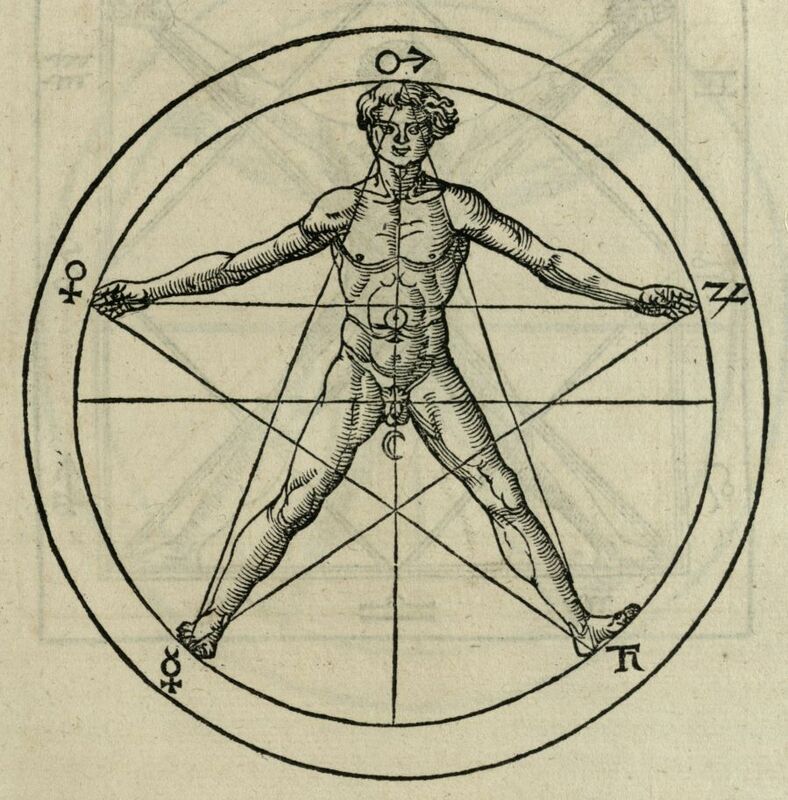 “Man inscribed in a pentagram,” The College of Physicians of Philadelphia Digital Library, accessed April 23, 2019, https://www.cppdigitallibrary.org/items/show/2389.